Born and raised in rural Michigan, Dr. Hedman learned the importance of family and hard work. He grew up loving the outdoors, with forests, lakes, and trout streams nearby. His mother, a nurse, often told wonderful stories about the patients and doctors she worked with. He loved these stories and from a young age knew he would someday be a doctor. Dr. Hedman started his higher education at Michigan State University where he graduated with high honors in biochemistry in 1993 and went on to medical school at Wayne State University School of Medicine. He enjoyed many areas of patient care, but it was the Family Medicine rotation that really grabbed his interest. This became apparent when his mentor in Family Medicine introduced Dr. Hedman to a family he had been treating for 3 generations! From that day on, he would seek a future in Family Medicine. Dr. Hedman was accepted into the University of California, Davis School of Medicine Family Medicine Residency Program. He moved to Sacramento in 1997 to start his training and fell in love with the people and beauty of Northern California. The residency program proved to be a wonderful experience and Dr. Hedman was honored with serving as Chief Resident and being awarded the 2000 Outstanding Resident Leadership Award of the Sacramento Chapter of the California Academy of Family Physicians. After graduation, Dr. Hedman decided to take a less common path and packed up to travel and work across the country. For nearly three years, he worked as a traveling physician to expand his medical and people skills in many diverse medical settings. This was also a great opportunity to see these great United States! 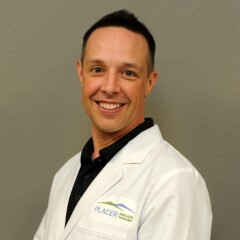 He came back “home” to the Sacramento area in 2003 and accepted a position with Turnure Medical Group in Rocklin where he stayed until the formation of Placer Private Physicians in 2014. 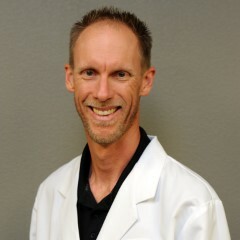 Dr. Hedman believes happy, healthy doctors are caring doctors and that is why he focuses on eating healthy and exercising. He loves learning and keeps up with the latest medical research and health news. He enjoys the outdoors including hiking, backpacking, fly fishing, and simple walks with his “girls” Stella and Tikka. Dr. Hedman enjoys all aspects of primary care including the opportunity to focus on health and wellness and disease prevention. He has special interest in treating obesity, metabolic syndrome, diabetes, cholesterol disorders, fibromyalgia, and mood disorders. A native of California, I studied exercise physiology and health sciences at St. Mary’s College in Moraga where I met my beautiful wife Christine. We married and moved to Omaha where we both attended Creighton; medical school and nursing school. My training in Family Medicine at the Creighton University Medical Center kept us in Omaha for 3 more years. We started our family in Omaha with two beautiful girls, Hannah and Rachel. Ultimately the pull of family and the weather proved to be too great and brought us back to the bay area for my fellowship year in Sports medicine in San Jose. After finishing the one year program, it was my wife’s turn to choose where we went. She took her dream nursing job at the UC Davis Medical Center. I worked for a few years at a practice in Rocklin, but found a better fit and joined Turnure Medical Group, where for the past 8 years I helped to build an excellent primary care practice. Choosing to settle in the Sacramento area has been wonderful. In 2009 we decided we were not done growing our family, and chose to pursue adoption. In 2010 Sebastian and Alejandra, a sibling pair from the foster care system, were adopted into our family. Adoption has been both challenging and rewarding, often at the same time. The blessings we have been given through our professions, family and adoption, Bayside Church, and our wonderful friends are truly amazing. My family and I also love the close proximity to lakes, mountains, and outdoor activities. We realized our dream of rural living in 2008 moving out to Loomis to live on a few acres. Taking care of the property is hard, but relaxing work and I love to work outside. We have two dogs, several chickens, and a couple of goats, and I love exposing my kids to the farm life that I grew up with. The past few years, I have seen the insurance bureaucracy get worse, the number of patients I need to see every day go up, and most importantly the time able to spend with patients go down. This trend forced me to take a long hard look at how I was spending my time….and realized most of it was not related directly to patient care. I am so excited to evolve my medical practice into this new direct care model that allows me to develop the relationships and spend the time with patients that is so necessary in primary care. In the process, I have discovered functional medicine, which takes a different approach to the management of chronic disease. Functional medicine integrates all aspects of the patient and their environment to find the source of health problems and support the body’s natural processes for healing instead of merely trying to treat individual symptoms. The additional tools and unique evaluation associated with functional medicine fits nicely into our direct care practice model. Please join me on this journey as we redefine your healthcare together, free from the meddling of insurance companies and government regulations. 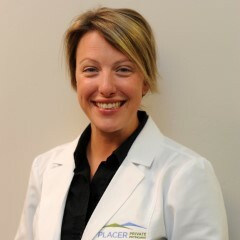 I look forward to the possibilities that await us both at Placer Private Physicians. Dr. Brown was born on Vancouver Island, British Columbia, Canada. Raised by a Registered Nurse, Dr. Brown was highly influenced by her mother’s life in the medical field and always dreamed of becoming a doctor. Dr. Brown received her Bachelor of Science and Medical Degree from the University of British Columbia. She completed her Residency at Dalhousie University, in Nova Scotia. She is Board Certified in Family Medicine in both the U.S. and Canada. 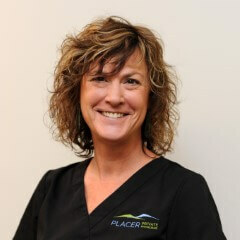 She received the Nevada County “Best Of” award for Best Physician two years running. Dr. Brown has been serving patients with a diverse array of medical needs for more than 19 years. She began her career in Vancouver, Canada and after marrying an American, and love of her life, she accepted a position in Texas as a Family Physician; this is where she and Kevin grew their family over the next six years and welcomed their three beloved children. After this season, the Browns moved to Northern California to raise their children, where the culture seemed more in line with Dr. Brown’s Canadian roots. 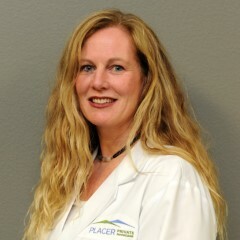 As a highly sought-after Nevada County physician for the past 10 years, Dr. Brown has been addressing standard patient needs in a Family Practice setting and has specific interest and expertise in women’s health issues, hormone replacement therapy, complex thyroid disease, prevention and correction of chronic disease and international travel medicine. Dr. Brown’s philosophy on creating a happy, healthy lifestyle is to utilize a combination of traditional medicine, routine exercise, healthy nutrition and supplementation, acupuncture/Eastern healing practices and psychotherapy. Outside of her medical practice, Dr. Brown’s time is devoted to her family, their multiple sports programs and affiliations. She has a passion for travel, is an avid reader, a lover of the arts and theater and is interested in medical anthropology. In Kimberly’s spare time, she enjoys cooking, supporting local live music and sports, and last, but not least, her two cats Murphy and Maxwell. 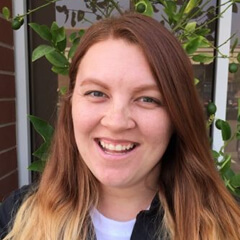 Born and raised in Lakeside, California and then started her new adventure to Fair Oaks in 2017. With her family in Southern California, she enjoys traveling frequently to see them. She has been a medical assistant since 2012, starting her career in pediatrics; she is excited to be a part of the P3 team in family medicine. In her off time, she enjoys cuddling with her fur baby Buddy and rooting on the Pittsburgh Steelers. 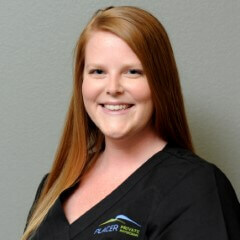 Lisa started her Medical Assistant career in 2017 after completing an externship and receiving excellent mentorship from the Placer Private Physicians staff. 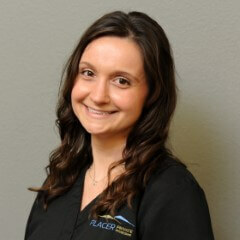 She enjoys learning more about family medicine, particularly hormone therapy, by working closely with Dr. Brown. 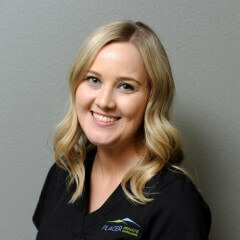 She looks forward to continuing to get to know all of her patients! Traveling around the world one step at a time originally from Los Angeles, CA. Born and raised in a family of seven children being the first eldest daughter of the “Brady Bunch,” my mother is from Puerto Rico and father’s family is from Tennessee. This would be my first time working as front desk in a medical office, previously I was working as a Certified Medical Biller/Coder and worked 4 years at Knotts Berry Farm as a Ride Operator, which is a theme park located in Southern California. I am attending American River College to complete my Associates Degree in Psychology as I inspire to be a Psychologist in the future for the VA (Veteran’s Administration). A few hobbies that I have acquired over the years are Hip Hop dancing, Boxing, Horseback Riding, and continuing my education in various languages such as Korean, Japanese, and Spanish. During my free time I am usually reading a book, being a mother for my two cats, or hitting the gym. I am grateful to be part of this amazing practice and working with an incredible staff and assisting all of our great patients. I look forward to meeting all of you and hopefully hearing about your great adventures as well!